I am the Founder and Chief Technologist at Nebbia Technology, I have a passion for ALM, TFS, Azure, Scrum, and software development best practices. I am a Microsoft Visual Studio ALM MVP, ALM Ranger, Pluralsight author, and I am the president of ONETUG (Orlando .NET User Group). I have over 15 years of professional experience in software development, working in all phases of distributed object oriented enterprise application development and design using Microsoft technologies. I have a degree in Computer Engineering from the University of Central Florida. I have watched your Pluralsight video on MTM 2012, and found it informative, but I did have one comment. The last video before the summary makes a big deal about the Web interface to MTM, and how you can use the web interface to make use of MTM functionality without actually installing MTM on the machine. And yet, your demo starts the web interface from MTM itself running on the same machine. If MTM is already on the machine, why bother with the web interface at all? That’s like teaching your pony to do fantastic tricks, telling the audience he can do them, and then never letting him show off. Both the audience and the pony are disappointed. Could you please actually show how to start the web interface to MTM from a machine that does not have MTM installed? I LOVED your course on TFS Git on Pluralsight. I also think that the TFS Git client is perfectly suited for a developers needs. SmartGit is too complex and the command line is a pain (although I am quite good at it). However, our build master claims that TFS Git is junk and buggy. He has also introduced a rule thereby no one on our team is allowed to use TFS Git and MUST work from the command line only. Have you ever heard of any issues with TFS Git? I did an internet search and could find nothing to support our build master’s claims. Thank you for your compliment on my Git course, I’m really glad that you found it useful! I just sent you an email to try to understand the issues that you are having with the Git tools. between OzCode and the Orlando .NET User Group. Sorry, I meant Esteban of course. I loved your MTM 2013 course. 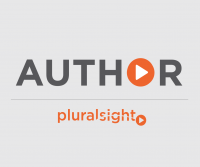 In this, you mentioned a course on automated testing, but I do not see this on PluralSight or anywhere else. What happened? From a Best Practices point of view, does it make sense to create a separate Test Plan just for Mobile testing of requirements/test cases or would you manage that within the configuration settings within the Test Plan and create a Test Suite for them? Most Test Cases should be able to function within a Mobile environment but not sure what is the best way to handle testing of Mobile devices. I would create a separate configuration and assign that configuration to the test cases that should be run against the mobile environment. This will allow you to easily compare results between running the tests on your regular browser and on the mobile browser. The application being tested allows for creation of accounts for customer interaction with the company. We have created a Test Plan with defined configurations. A Test Case with defined parameters are created to test building new accounts. However once the account is created you can not build the same account over again when running a different configuration within the same Test Case and the defined parameter set. When creating a Test Case with parameters how can different parameter sets be used within the same Test Case and based on the configurations being tested as defined within the Test Plan? Do you have to build different Test Cases and specifically build out different parameters using a single configuration defined for that Test Case? You cannot have different parameter sets per configuration. For those cases, you may want to look at Coded UI tests or Selenium where you can add some logic to generate the unique account names. Can you explain better how shared steps can have parameter placeholders and how that looks. Once you get back from your seminars will you please provide a response to my last two questions. I appreciate your help to a new user of MTM 2015. Within our AUT there is a function which allows for resetting of customer passwords. We have multiple configurations defined and within the test case created we have defined a parameter set of UN and original PW for each customer iteration. Once the first test run is completed and the original PW has been changed, any subsequent test run using another configuration will fail because the baseline of the parameter set is now different based on the test run completion. Is it possible to change parameter sets within a test case after the first test run has completed so that you can start another test run use another configuration within the same test case? I believe that MTM will see the change and invalidate the first test run. If we do have to complete test runs based on each configuration then a separate test case would have to be created and filter using each configuration only once for that test case/test run and a different parameter set as well should be built? There must have been situations where this is defined because most sites allow for passwords to be reset. No, that’s not possible. Each test case should be independent and should not rely on other test cases passing and other test cases should not affect the results of another test case. If you are automating your tests through Coded UI, you could have a setup/teardown method that cleans up your data after a test or configures your data so that a test passes. When I associate a test case that is created from an exploratory test in the Code UI Test in the visual studio stuio, the message “no recording” appears, why does it happen? I wonder if it is possible to publish permanent good quality post on your site with dofollow backlink to my site? Hi Esteban, you had a poadcast on how to succeed with Agile. The podcast has inspired my agile learning in a positive way. I was hoping to share the podcast with some o my team members, i but i am not able to get to it. Can you share the podcast if you still have a copy of it? Sossoumarcel@hotmail.com.